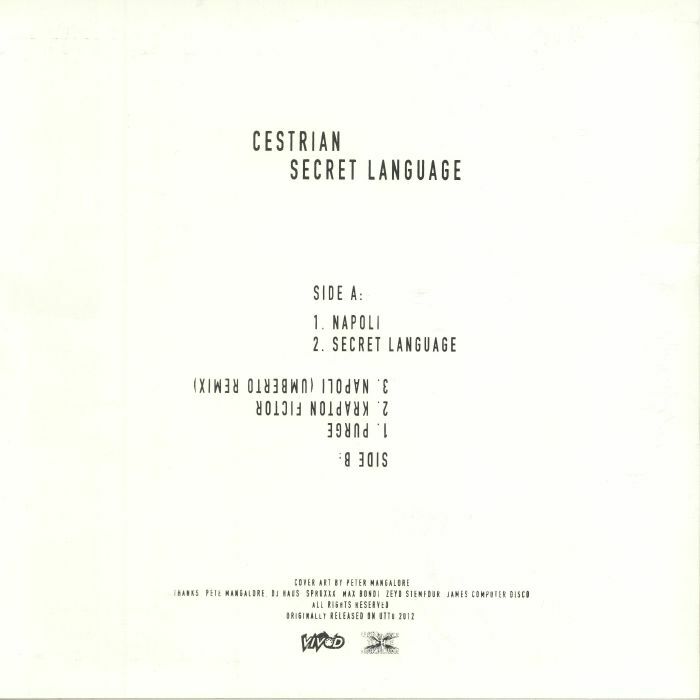 CESTRIAN Secret Language vinyl at Juno Records. Ali Renault's Cestrian alias is responsible for some proper gutter-dwelling electro business that has come to light on Bunker Records, MNX Recordings and more besides. 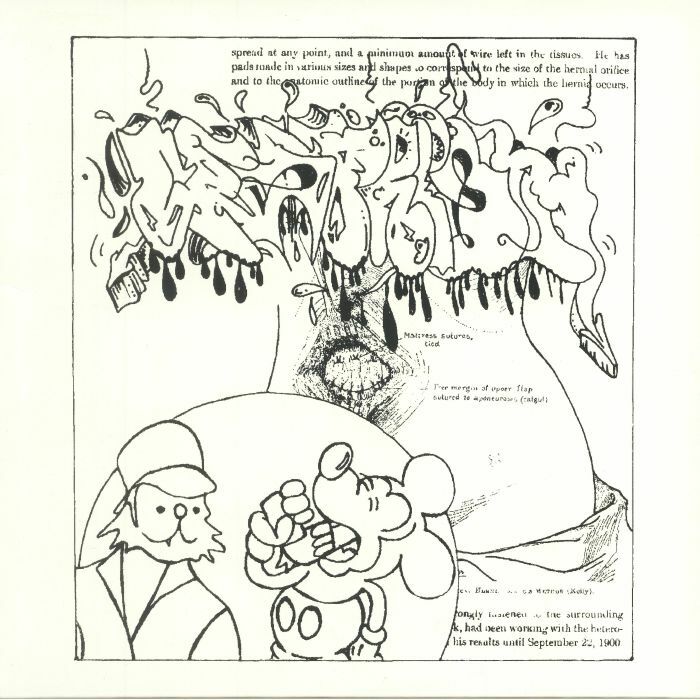 There's no let up with this new slab, presented to the underworld by Vivod and Unknown To The Unknown as a joint release. "Napoli" keeps the pressure wound up to a breakneck pace while "Secret Language" places the emphasis on devilish synth tones. "Purge" attempts something akin to a more melodic, mellow mood splattered with acidic bleeps, and then "Krapton Fictor" whips out some truly crafty android boogie loaded with short circuits aplenty. Umberto swoops in at the last minute to remix "Napoli" into a relentless, storming techno brute with brains to match the brawn.